Josephine is the current owner of Soul of Beauty. 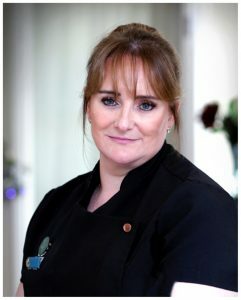 She is ITEC qualified which is one of the highest international industry qualifications and has been working as a professional Beauty and Holistic Massage therapist for over 10 years. She originally hails from Mayo. During her career she has worked in health farms, five star spas and luxury salons. She has a vast knowledge of skin and body care and has worked for many of the leading skincare brands. She has been nominated for the tattler awards on several occasions and received the best service award for 2015. She excels in all her treatments and is renowned for her excellent massage having massaged some well known rugby celebrities. Her Facials and Tanning have been popular with T.V. and Radio presenters. She has most recently qualified as a Reflexologist and attained student of the year in her Class. She is registered with the NRRI for reflexology. She also attained certification in cancer care and along with the Lindi skincare range she is offering a head to toe body treatment that helps alleviate skin related side effects from cancer treatments.